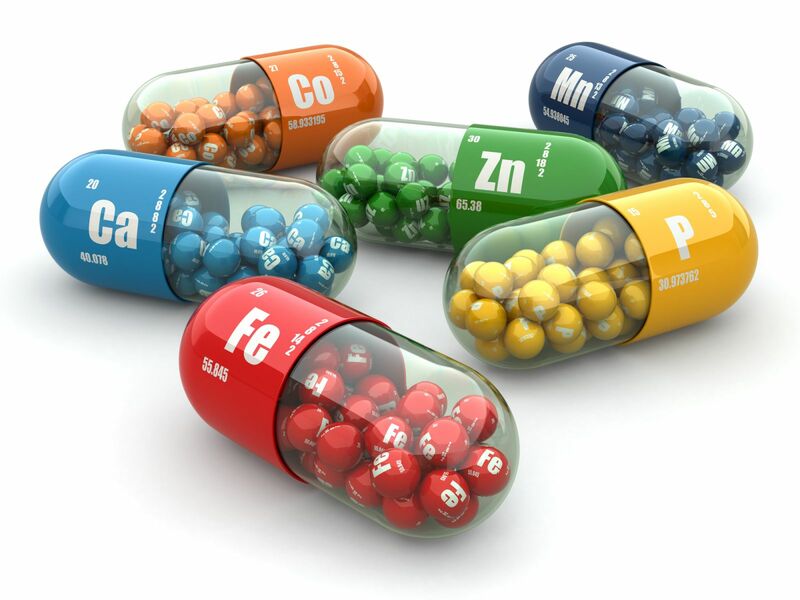 Vitamins and minerals get thrown together, but they are quite different. Vitamins are organic substances produced by plants or animals. They often are called "essential" because they are not synthesized in the body (except for vitamin D) and therefore must come from food. Vitamins are divided into two categories: water soluble—which means the body expels what it does not absorb—and fat soluble where leftover amounts are stored in the liver and fat tissues as reserves. The water-soluble vitamins are the eight B vitamins (B-1, B-2, B-3, B-5, B-6, B-7, B-9, and B-12) and vitamin C. The fat-soluble vitamins are A, D, E, and K.
There are many minerals, but certain ones are necessary for optimal health. Minerals are split into two groups: major and trace. Major ones are not necessarily more important than trace, but it means there are greater amounts in your body. Federal guidelines suggest minimum daily amounts for vitamins and key minerals. However, unless you need to increase your intake for specific ones because of a deficiency or other medical reason, following so many numbers can be confusing. The best approach to ensure you get a variety of vitamins and minerals, and in the proper amounts, is to adopt a broad healthy diet. This involves an emphasis on fruits and vegetables, whole grains, beans and legumes, low-fat protein, and dairy products. The good news is that many common foods contain multiple mineral and vitamin sources, so it is easy to meet your daily needs from everyday meals.